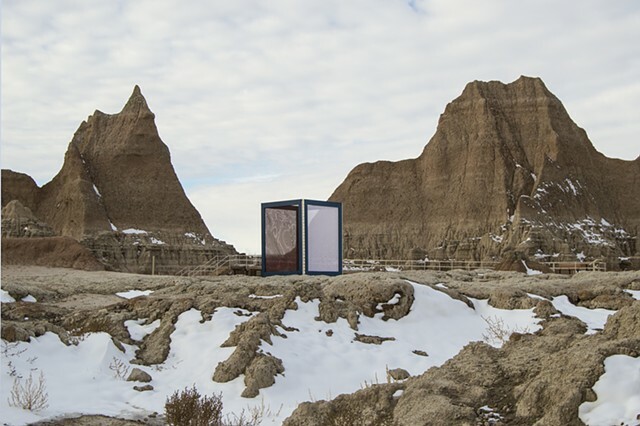 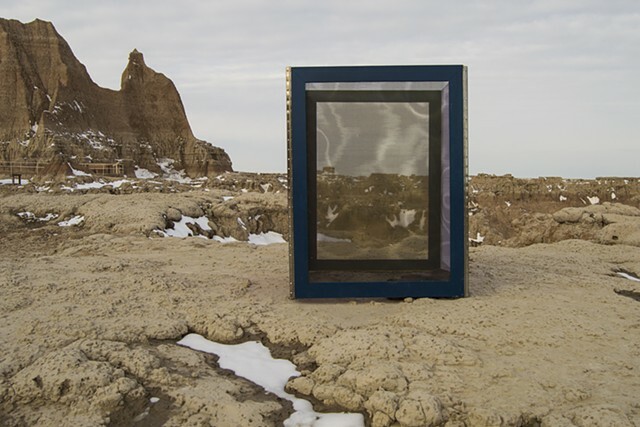 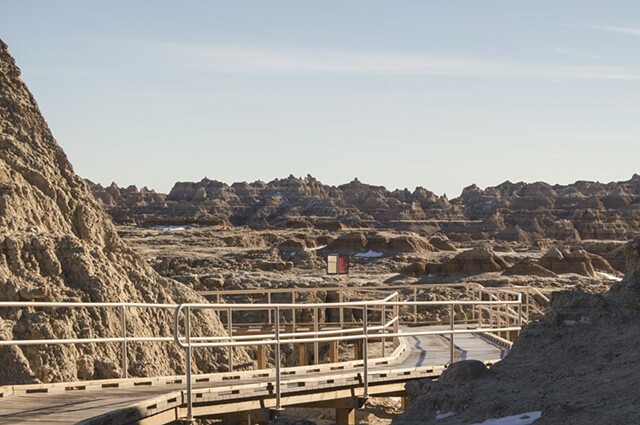 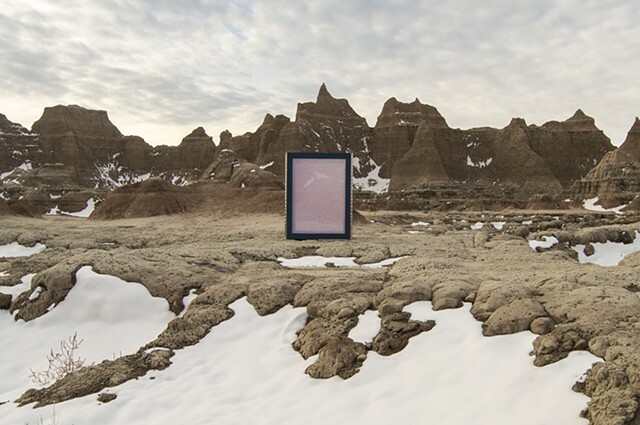 As the Fall 2016 Artist in Residence at the Badlands National Park, Gina Hunt created site-specific, sculptural installations outdoors. 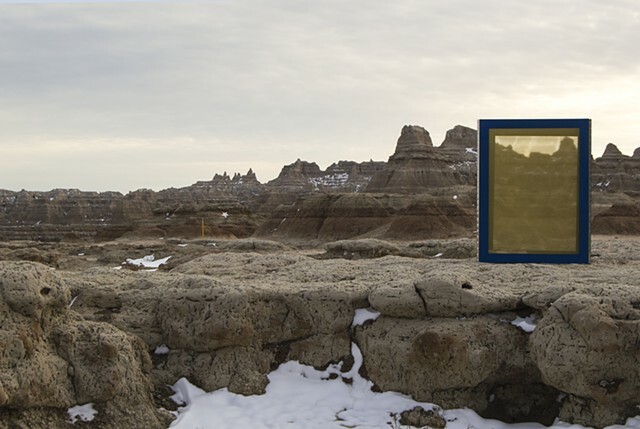 These works were dependent on the landscape of the Badlands and influenced by her research on the visual aesthetics of Lakota culture. 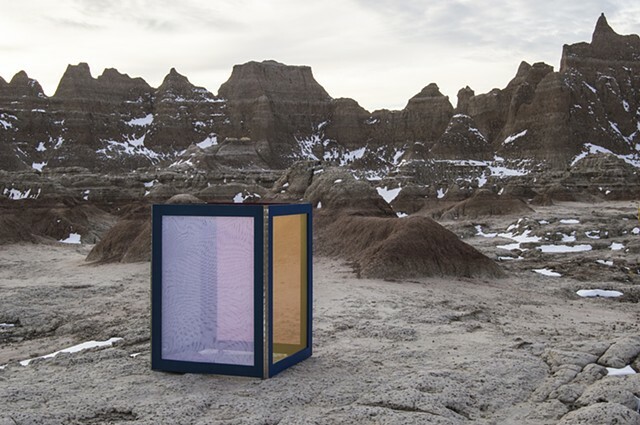 Suncatcher for the Badlands utilizes the number four, which has a strong presence throughout Lakota culture, and is used to help us understand structures of life and the universe. 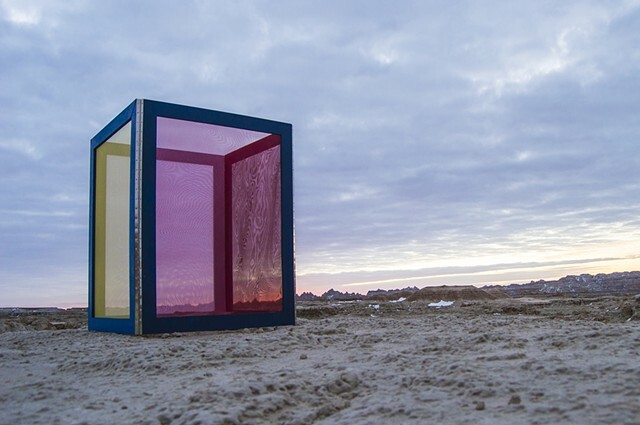 These influences have developed into Hunt’s projects as ways to create work that is dependent on regional landscape, traditions, history, art, and aesthetics, while transforming into sculptural works which create new meaning for each individual viewer. 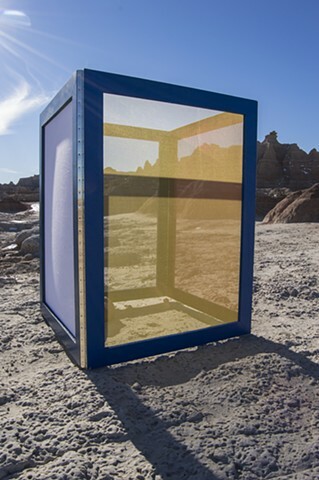 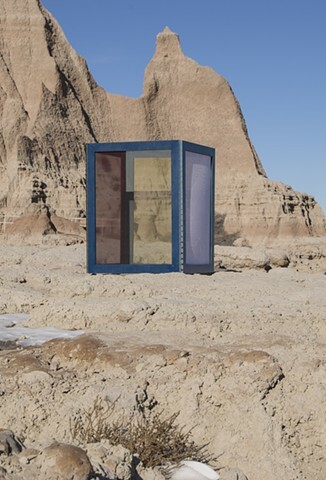 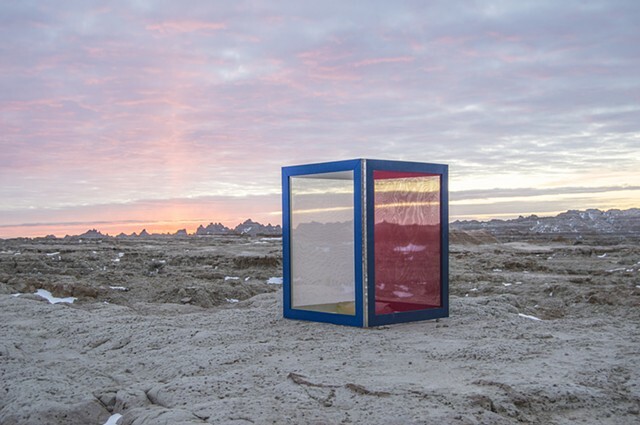 Suncatcher for the Badlands has four colored screens—black, white, yellow, and red—which are the symbolic colors that comprise the Medicine Wheel. 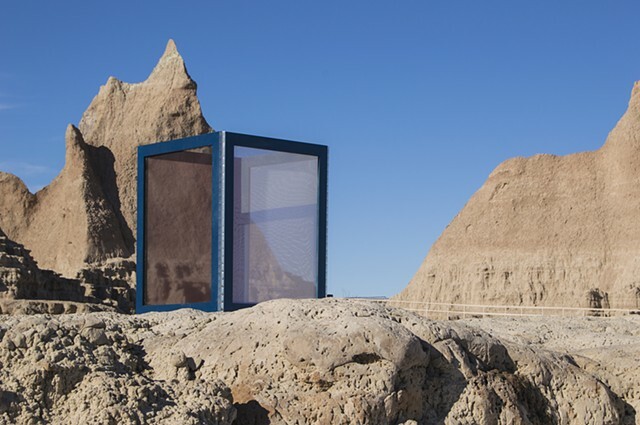 Suncatcher for the Badlands appears to change throughout the day because of its dependence on the sunlight. 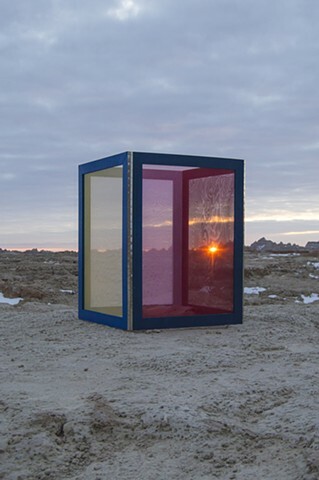 This creates a myriad of visual possibilities through changing colors, shadows, and forms.